The Atlantis Bookshop was established in 1922 by magicians, for magicians. It is the birth-place of modern witchcraft, with Gerald Gardner holding regular coven meetings in the basement of the Shop. Many of our authors are also our customers, and many of our customers are also our friends. The Atlantis Bookshop is owned by Bali and Geraldine Beskin, a mother and daughter partnership. They are proud to be 3rd and 4th generation practitioners and multi-generation booksellers. All of the famous but now long-dead magicians – Aleister Crowley, Dion Fortune, W.B Yeats, Israel Regardie and Gerald Gardner to name a few – have passed through the sacred portal that is the front door to Atlantis, and a great many living ones continue to do so to this day. 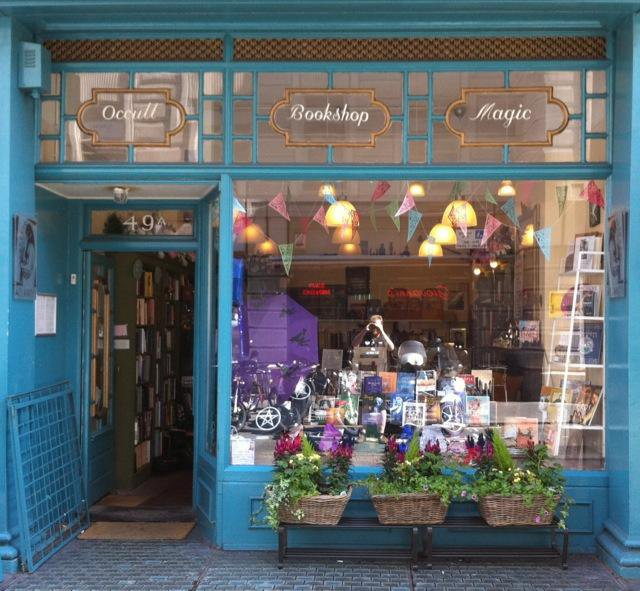 The Shop has always been known to cater for the Western and Magical side of the occult and continues to excel at connecting books to their new owners. The stock is vast and eclectic, ever-changing, and has expanded to include statues, jewellery, tarot and more. We have provided help, expertise, advice, props and locations for TV shows, radio programmes, news items and Hollywood productions as well as participating in interviews for TV, radio and print media. We have offered occasional classes taught by such luminaries as David Goddard, Lon Milo DuQuette, John Michael Greer, Dolores Ashcroft-Nowicki, Christopher Penczak, Chic and Tabatha Cicero to name a few. We have also organised occasional conferences on esoteric topics as diverse as The Templars and Alchemy. We offer tarot readings (by appointment) and are organisers and supporters of both the Tarot Festival and the Tarot Conference held each year here in London. This is the publishing arm of The Atlantis Bookshop. We are very proud to have issued many titles over the years, from Gerald Gardner's "High Magic's Aid" through to works by Aleister Crowley and Austin Osman Spare. Our illuminated edition of The Book of the Law is highly sought after and books about Dr John Dee, Frater Progradior and Madeline Montalban are still available.